Listed below are several of Orlando Florida’s most popular golf resorts. These properties all have multi-bedroom condo accommodations great for the traveling golf group. 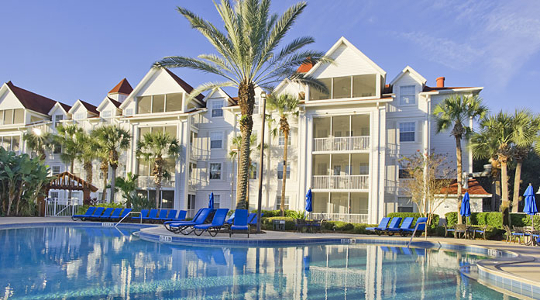 While each property is unique in design all provide a great lodging experience and setting for golf groups traveling to Orlando. Grand Beach Resort located on Lake Bryan has beautiful large three bedroom units, two with King Beds and one room with two full beds. Full kitchens, living rooms, balconies and oversized bathrooms make this the perfect place to call home on your next Orlando Golf Vacation. Put a Tropical spin on your next Orlando Golf Vacation. Like Tiki Village has one, tow and three bedroom villas that can accommodate any size golf group. Each unit has fully equipped kitchen. living room plus washer and dryer. If you are looking to add some excitement to your golf trip Liki Tiki is just seven miles from Disney and has a water park onsite! Stay and Play at Mystic Dunes Resort & Club and enjoy golf onsite at one of Orlando’s top 5 Golf Courses paired with other nearby Orlando Golf Courses. You can choose from multiple suite and condo options and will find dining, beautiful pools and all other amenities you would expect at a top golf resort. Built around a nature preserve Mystic Dunes provides the perfect setting for relaxation and refreshment following a full day of golf.